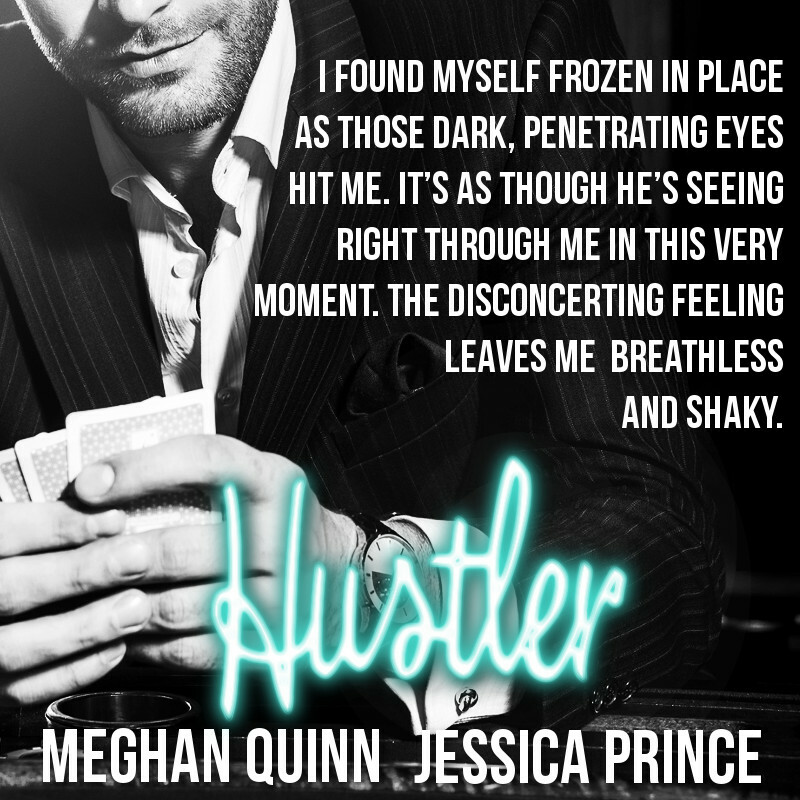 We’re celebrating the release of HUSTLER by Meghan Quinn and Jessica Prince! I make my living as a hustler, and I’m great at it. I don’t have a single tell and use that to my advantage to manipulate any situation. I’ve always known what a person is about to do before they’ve even decided. That is, until I met Nell. I can’t get a read on her, and what’s worse, she doesn’t want anything to do with me. Which only makes me want her more. Now I’m in for the hardest hustle of my life. Somehow I have to convince Nell that she belongs with me. Good thing I’m always up for a challenge. Casually, I sit on the side of the table and take a sip of my drink as I let her eyes peruse my body. It’s a power move. Even though I’m eager to get to know this little hellion, I mask my reaction to her. Never show and tell, especially with women. I can feel her eyes scanning me, focused on the bit of exposed skin near the collar of the shirt. They then travel down my stomach – little does she know what’s hiding underneath my clothing – and then to my crotch, then she immediately refocuses on her hands. I caught her though, she’s a goner as far as I’m concerned. “Penelope Prescott,” I start, but I’m quickly interrupted. “Everyone calls me Nell,” she clarifies. I know the answer to my question, but when you’re holding the upper hand, you not only want to show power, but you also want to make the other person feel as though they have some control over the situation, when in fact, they don’t. Poker 101. She wrings her hands together on her lap. Tell number one. She’s nervous, but there’s a confidence in her eyes that almost boasts a cocky air around her. Unfortunately for her, I’m a master at reading people, so she’s doesn’t fool me one bit. She bites her lip before answering. Tell number two. She twirls a strand of hair around her finger. Tell number three. “Mr. Saint,” I inform her. “Sorry, yes, Mr. Saint.” She grits out my name, as if it’s painful for her to say. Jessica was born and raised in Texas–where she’ll stay because she claims the cost of living in Texas excuses the god-awful weather. She is first and foremost a wife and mother. Because of those two things, she’s also a self proclaimed wino and coffee addict. 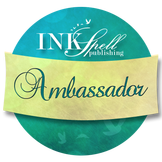 She’s always been and avid lover of all types of books, but romances are her main favorites. 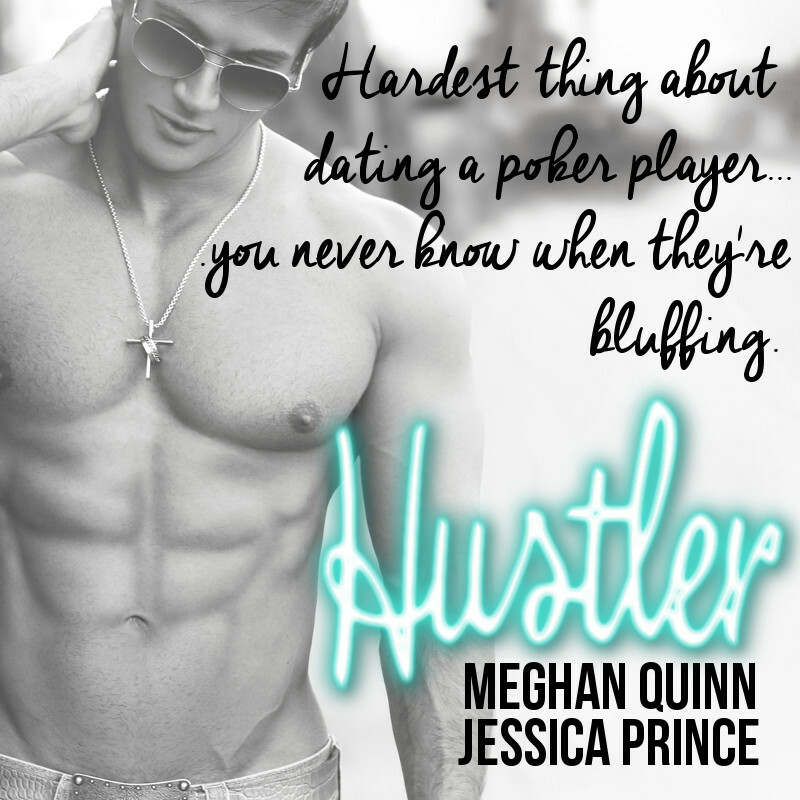 Jessica’s husband likes to say reading is her obsession, but she likes to call it her passion…there’s a difference. She pinky promises not to spam you. ~ by buriedunderbooks1 on May 9, 2016.